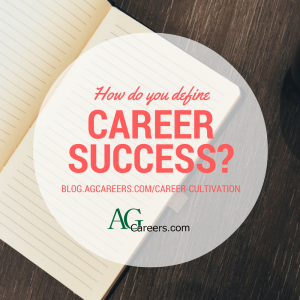 Career success is a subjective term and means different things to different people. However, there are some commonalities that the majority of people agree is important when it comes to discussing “career success”. A successful career is usually one where the person feels happy to go to work every day, doing something of interest to the individual. Many people also measure career success by income, employer, prestige, etc. However when it comes to these criteria, they are not the same for everyone. So, why should someone define what career success means for them? Without defining career success, it is difficult to define career goals and without goals, it is difficult to plan and achieve. If you don’t define career success, you will never know when you achieve it. 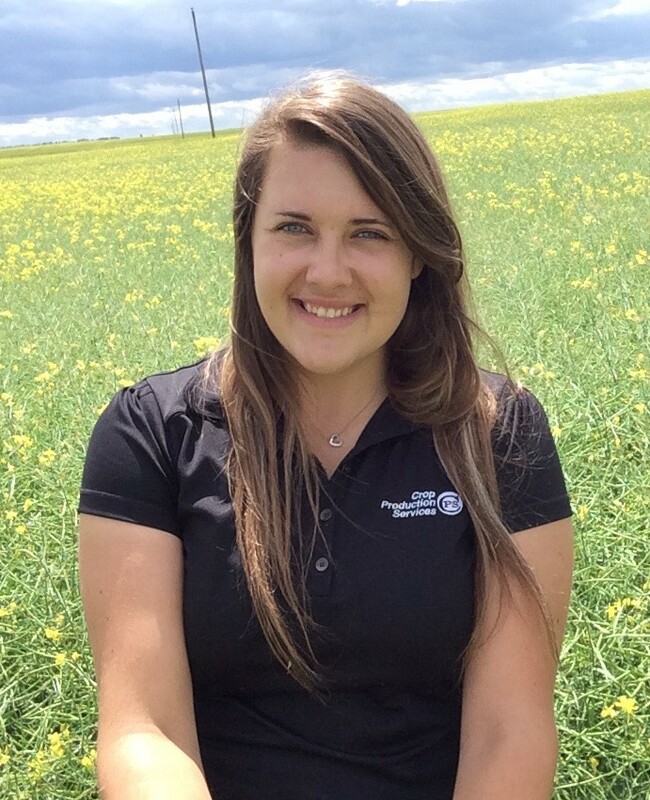 Coming from a small town in Southern Saskatchewan, agriculture was one of the clear choices I had when deciding on my future career path. I signed a full-time contract during the fall of my senior year at the University of Saskatchewan to be a Crop Production Advisor with Crop Production Services Canada (CPS), back in my hometown. 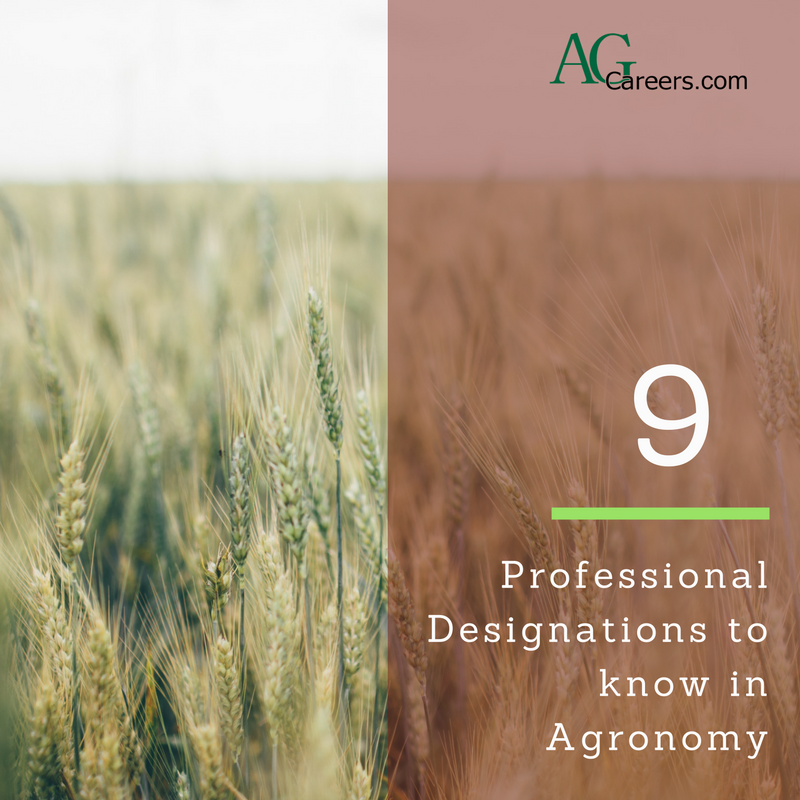 Although I had a full year of school to finish, I was already mentally preparing for my full time career as a Crop Production Advisor, more commonly known as an agronomist. You learn pretty quick that each day is a bit different when you are an agronomist. Shortly after harvest, farmers are already planning their crops and growing plans for the upcoming year. A good portion of the time I am working in the world of sales, selling the necessary elements that go into growing a crop. This includes seed (canola, corn, soybeans, wheat and forage seeds), chemical and fertilizer to my growers for various chemical and seed companies (including our own CPS/Agrium/Loveland Crop Inputs products). This involves sitting down with the grower and discussing everything from past yields of crop to soil testing results. The rest of the winter months are spent putting on grower meetings and attending various training sessions in order to become a better advisor for my customers. Happy Veterans’ Day and Remembrance Day! On behalf of AgCareers.com, I want to say thank you to all who have served their country so that we may enjoy the freedoms and livelihoods that we have. AgCareers.com is very dedicated to the employment and advancement of military veterans in agriculture. Since 2012, we have carried the Ag Warriors program forward, assisting military men and women in search of careers within the agriculture and food industries. 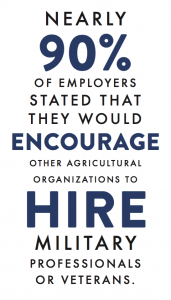 We have partnered with leading agricultural employers including CHS, Inc., DuPont Pioneer, and Tyson Foods to promote the active recruitment and employment of veterans in agriculture. Pursuing a professional designation either on its own, or to complement your existing education and experience, is an excellent way to prove credibility in a certain field of expertise. 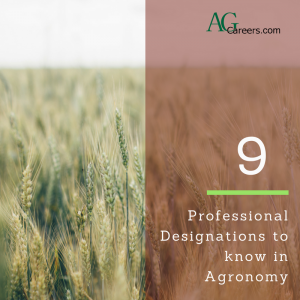 While job hunting for research roles in soil, plant, or animal science, it’s common to see that Masters or PhD is required; agriculture has its own unique set of professional designations to help you differentiate yourself. Each professional designation is typically governed by an industry institute or association. These bodies have varying requirements depending on the designation, often mixing courses and experience. They operate to a high standard of ethics and expect the same of their members. This group can also provide you with vital mentoring throughout your career. Kristine Penning is AgCareers.com’s Creative Marketing Specialist. 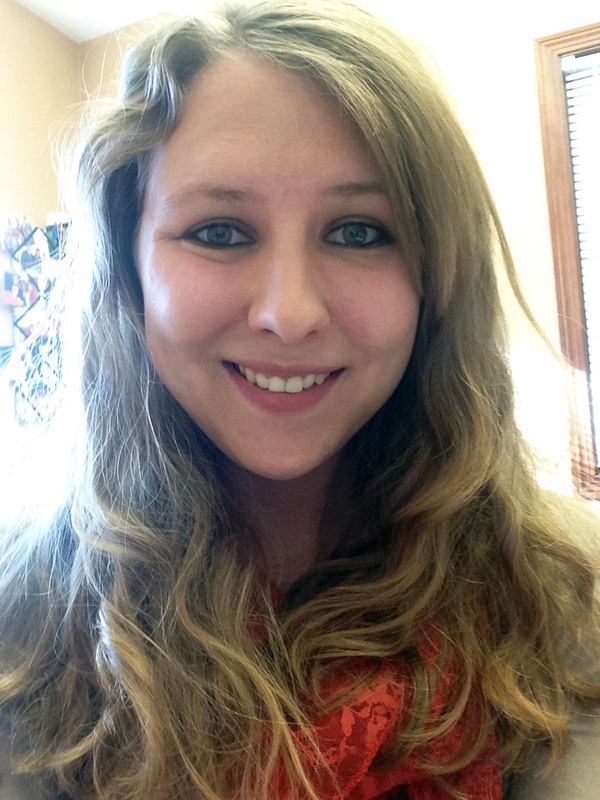 She will have been with the company for three years in January of 2017 and works from the Ames, Iowa office. I have a unique job where I get to do a lot of different things daily. 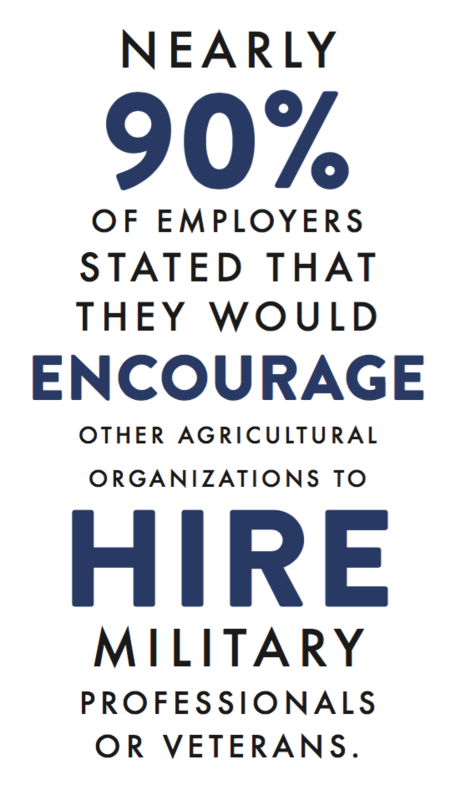 Primarily, I do graphic design for AgCareers.com, so this includes handouts and flyers, brochures, mailers, e-blasts, reports, infographics, social media graphics, basically anything the team needs that involves anything graphical. I also handle a share of social media tasks like creating content and posting the jobs that you see on our social media. And I get to do some video production and a variety of writing on the blogs, the newsletter, through the Career Guide, and creating surveys. I love my job. I appreciate that my job is not just one sector of agriculture, but is all-encompassing of the industry. I feel so fortunate to come to work every day and get to do what I love for the industry that I love. I also love creating. And I feel genuine doing so. I grew up on a farm, and my husband and I farm, so coming from this industry and getting to support it through my daily work is and has always been my dream. All my passions fit into one job, which I think is pretty rare to find in a career. Guest Blog Post by Gena Perry, Chief of Staff, AgriCorps, Inc.
Today’s agriculture industry is truly a global network and as a job seeker if you have experienced agriculture around the world, you bring a coveted perspective to the workplace. This experience abroad could last for just a few months or a few years but the skills you gain could help you land your dream job back in North America. For me, that experience was serving as an AgriCorps Fellow in Ghana for a year supporting sustainable agricultural education development. Below are some special skills I acquired abroad and how to demonstrate these skills to employers. • Resourcefulness: When I worked in a small office in Ghana, we didn’t have a Walmart or a closet full of office supplies to work with so I had to be resourceful when planning trainings and events. This skill in the U.S. might not be in the form of materials but a way of thinking. Being able to use who and what you know to develop a creative solution to a problem is a great asset to any job. • Being a ‘dot connector’: In order to increase global awareness for 4-H clubs in Ghana and the U.S., I connected a club from my home state to begin a pen pal system with 4-H Ghana. Being able to connect the dots within your network helps create sustainable solutions to challenges and shows an employer the value you add in creating a network and solving problems.